We happy to launch the best crypto wallet for 2019. Now you can have the Crypto wallet you always wanted. Freedom To customize the wallet with the ability to store, buy and trade more then 2500 crypto coins and tokens ! Buy, Sell and trade any Crypto with low Fees. All powered with an intuitive user interface, with Video guides built for beginners and advanced users. (See link to our guides at the bottom). 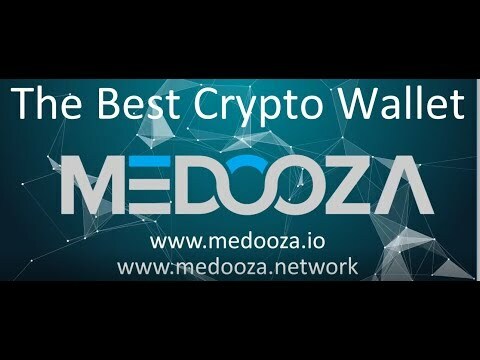 With the Medooza Universal wallet you can store almost any cryptocurrency in the world, buy crypto with credit card, send, trade with low fees, and all with maximum security! The Medooza wallet has another unique feature so now you can manage all your crypto assets with the portfolio management tool, with just a few clicks. Download the app or go to Medooza wallet site now and start using the most advanced crypto wallet we ever built.